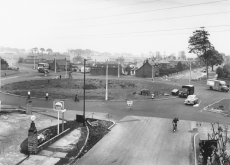 I was born in 1930, within a cottar-house on Milton of Craigie Farm, long gone, but B & Q and ASDA are sited there. I think 1930 was the year of the darkest day in Dundee, when some people thought the end of the world had come. My childhood was happy and carefree and full of warmth, not only from my gentle and patient father and bonnie and clever mother, but from the coal fire and oil lamps when we sat together at night time. We moved to another farm and I started school at Muirhead when I was four and a half. 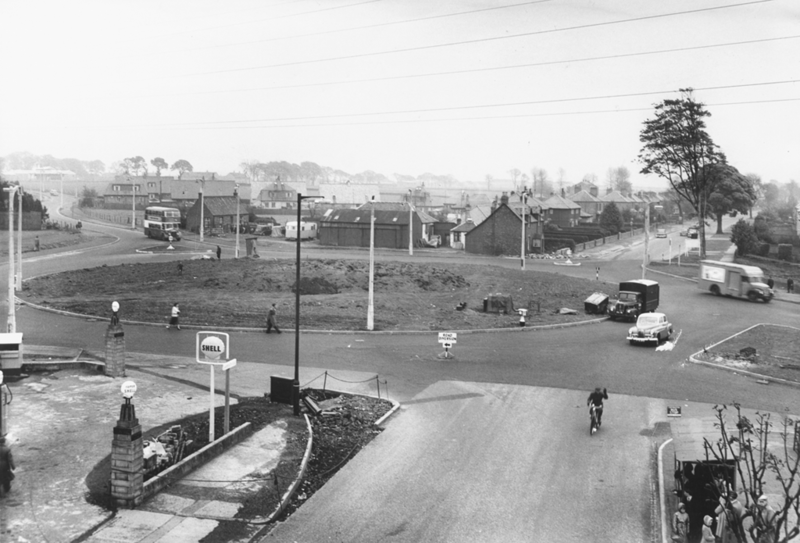 Then later I went to Drumgeith School, now demolished and the land built on to become part of the Whitfield Housing Estate. We were taught in a large room with a coal fire, very comforting in the winter and for drying coats when we were soaked walking to school. One teacher taught three classes at different stages until we went into the qualifying class with one teacher. If you won a bursary you could graduate to Stobswell or Morgan Academy. There were no school dinners then. In summer we took a sandwich and in winter, for a ha'penny or a penny we could have a bowl of soup, made in the wash boiler from vegetables from the school garden which we helped to plant, as part of the school curriculum. No Environmental Health Department then! I left school in 1945 and worked in an accountant's office. I became well acquainted with Dundee streets, delivering letters to local firms. Many of the firms and streets are now gone. I married in 1952, have three children and now live in the Douglas estate, a land which I remembered as farms and bleachfields. In the company of the Douglas Local History Group and the Douglas Walking Group I am recapturing old memories. Forfar Road to the North East going to Maryfield, with big houses and the old tramway terminus shed. Pitkerro Road to the East with Baxter Park and between the two roads from the 1st point lay the lawn of the majestic Morgan Academy. Morgan Street going South towards the river and Glebelands School. One of Dundee's long-gone cinemas was here and Barrie's lemonade factory. Albert Street leading South West to Princes Street, King Street and central Dundee. St John's Church is here and on Satureday nights dances and socials were held, and this was where many lads and lasses from the farms came to enjoy themselves. Dura Street going West and North West was the home of the "Land o'Cakes" bakery where delicious bridies and pies were made. Between Albert Street and Dura Street at the 2nd point was Stobswell Church. Mains Loan heading north. Betwen Dura Street and Mains Loan at the 3rd point was Forte's ice cream parlour, a public house and a blacksmiths where we could park our bikes and bring the wireless accumulators to be charged. Mollison Street, off Mains Loan, led to the Stobswell Secondary School and further up on the left was the Dundee East Poorhouse and Maryfield Hospital where many Dundee children came into the world. The 4th point between Mains Loan and Forfar Road completes my comparison of a compass and this was the point where many Dundee people shopped, in the premises of the Dundee Eastern Co-operative Society or, as it was known locally, 'The Sosh'.